200,000th Visitor Contest Has Ended! We have our six winners - so the 200,000th Visitor Contest is over (please no more emails)! Thank you to all who responded and look for more goodies coming soon! 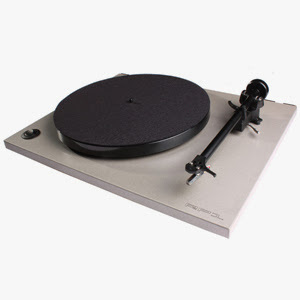 Again, a special thank you to Seth Frank over at SoundStageDirect.com for his interest in the CVR Blog and his love of vinyl! Be sure to stop by his site for some great new vinyl releases and some fantatsic vinyl reissues! 200,000 Visitors To The CVR Blog! We just passed our 200,000th visitor last night (I was sleeping) and to help celebrate this accomplishment I have partnered with SoundStageDirect.com to give away six $25 gift certificates toward the purchase of some new vinyl records to add to your collection. 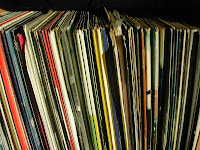 I want to thank Seth Frank at SoundStageDirect for his generous contibution to the CVR Blog and for sharing his passion of vinyl with my faithful readers. 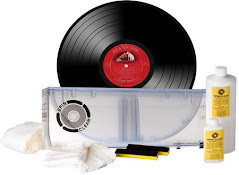 SoundStageDirect.com is one of the Internet's leading sellers of vinyl and have one of the best selections available to vinyl collectors. You can choose from the latest releases, reissues, 180-200 gram records, turntables and supplies and much, much more - heck they have everything a vinyl lover could ask for! The contest is very simple. Just be one of the first six to send me an email with the words "SoundStageDirect" in the subject line and you win a $25 gift certificate. (I will email you with the details if you win) Limit one certificate per person. My email address is rbenson30@wi.rr.com Good luck and act quickly! The year-end SoundScan numbers have been released today with some discouraging numbers for album sales (digital). However, the one big exception is the sale vinyl records. 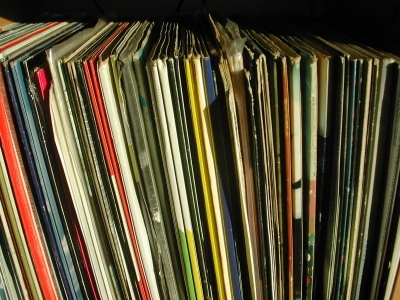 While the numbers aren't mindbogggling, vinyl sales rose 14% from 2009 to 2010, according to the Nielsen Company and Billboard's 2010 Music Industry Report. In 2009, 2.5 million vinyl albums were sold and in 2010 that number rose to 2.8 million. The top three selling vinyl albums were the Beatles' 'Abbey Road' (35,000 units sold), the Arcade Fire's 'Suburbs' (18,800 units), and Black Keys 'Brothers' (18,400 units). It's amazing to me that the Beatles' 'Abbey Road' LP was at the top of the list, this from a band that broke up 40 years ago; a true testament to their music staying power. Other top sellers included Vampire Weekend, Beach House, Pavement, and the National. Other artists that saw top sales included Michael Jackson, Pink Floyd, and Metallica.